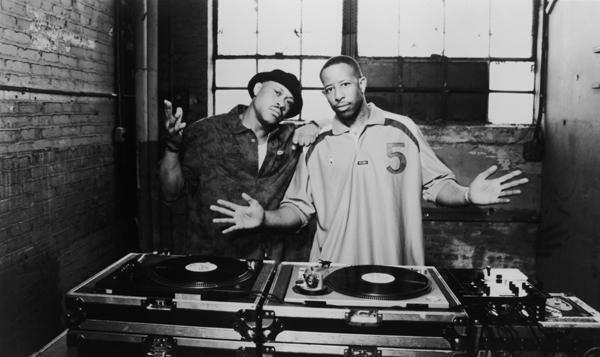 The next group in the discovery is the well-respected east coast hip hop duo Gang Starr. Consisting of Guru and Dj Premier, Gang Starr’s style not only mixes jazz and hip hop, but informs and educates the listeners. Each song I’ve listened to, the meaning behind the song is strong and clear . Since the 90’s, the pair created music that was not only influential, but quote/unquote “head shakers” as well (as in, music you could listen and jam to in any way). Track such as “Moment of Truth”, “Jazz Thing”, “Above The Clouds”, and “Mass Appeal” are the examples of what Gang Starr brings to the table, and listening to these tracks will change your opinion of “true” hip hop. Unfortunately, around Sept. 2005 the group ended, and in April 2010, Guru died from cancer. RIP Guru…. This entry was posted in Music and tagged enlightenement, flow, Gang Starr, hip hop, intelligence, music, underground. Bookmark the permalink. Congrats to the Dallas Mavericks!